The idea for this post came up unexpectedly last week when I went on my daily ride. This, of course, occurred when I was just about finished with my ride at the tail end of my route. As I was making my final stretch back up the hill leading to my house, my gears stuck. I wasn’t able to shift into low gear to brave the mega climb. What would have usually been a sweat-rendering, hard-but-rewarding finale turned into a joke scene from a bad movie with frantic pedaling, a very attractive strained facial expression, and a jersey that looked like it had just been tossed into the ocean. Needless to say, I wasn’t a pretty picture when I finally walked through my front door. When this first happened to me in my early days of riding, I paid a pretty penny to have my gears adjusted at my local bike shop. However, I’ve since learned how to adjust bicycle gears on my own. Today, I’m writing this post to show you just how easy it is to do this on your own in your garage. 1. Set up your bike on a bike stand so you can work. You’ll need to be pedaling the bike while you fix the derailleur, so having your bike suspended is necessary. If you don’t have a bike stand, you can flip your bike over to work. 2. Shift to the highest gear. Doing this will make your gears easiest to adjust as the highest gear is actually the smallest gear sprocket. This is the lowest point of tension and will allow you to easily manipulate the derailleur. 3. Turn the barrel adjuster to its tightest setting. This will allow you to be able to adjust it later. 4. Shift through all of the gears to assess any problems. By doing this, you’ll notice when the chain skips gears or needs to be clicked twice to switch gears. Pay attention to anything else you see or any noises being made. 5. Go back to the highest gear, start shifting, and stop when you reach your problematic gear. Then, as you pedal, turn the barrel adjuster in the direction you need the cable to fall. 6. Rotate the barrel adjuster to help the chain shift down, then rotate it the other direction to help the chain shift up. First, rotate the barrel adjuster counter-clockwise towards the larger gears until the chain jumps up and shifts on its own. At this point, your bike will be adjusted. Then, you’ll need to turn it the other way so that it shifts up towards the smaller gears. Sometimes, loosening the barrel will help if your chain jumps two gears at a time. 7. One everything is adjusted, check to see if everything is in place before lubricating the screws and pivot points. Shift through all of the gears to make sure that they move smoothly. The derailleur should fall right into place when you do this. 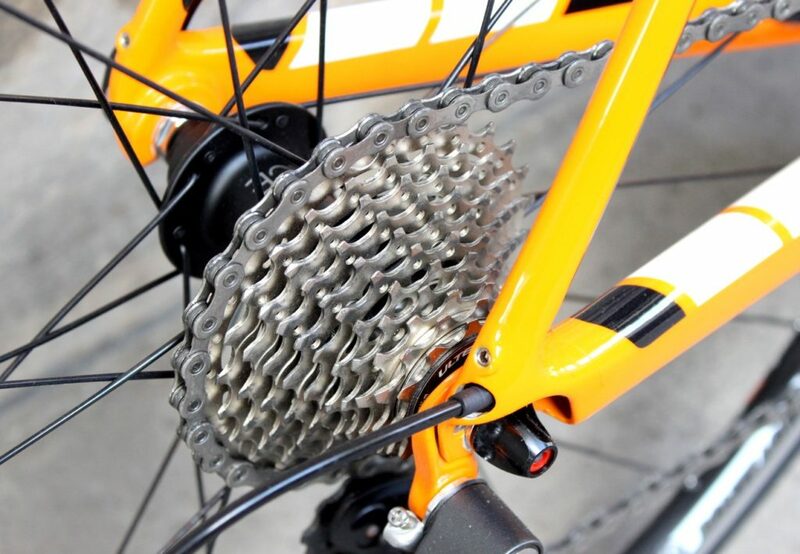 Finally, apply a chain lubricant to the screws and pivot points of the chain to keep everything in good condition. This will ensure that your drive train will last a long time. And that’s it! Once you work through this process once, you’ll see how easy it truly is to adjust bicycle gears on your own. 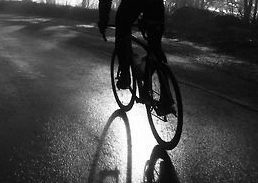 Safe travels and happy riding!